We know your schedule can be rather unpredictable during your Florida beach vacation — whether you’re sleeping in until the early afternoon in your beach-view suite, or staying up until the wee hours of the morning at Sandcastles Lounge. That’s why we offer seasonal meal service 24 hours a day. No matter where (or when!) 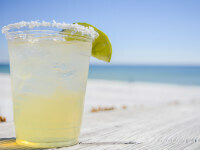 your vacation takes you, we’ve got your stomach covered. 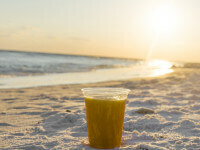 >Below, some suggested snacks to enjoy during a late night at Hilton Sandestin Beach. All meal options suggested below are available on our in-room dining menu between the hours of 11 p.m. and 6 a.m. (seasonally). Happy munching! Vacation is a time to relax. After a busy day at the beach (we’re one of the best Florida beachfront resorts in the area), climb into your cozy Hilton Serenity Bed™and enjoy the premium cable TV channels or Lodgenet movies on your in-room TV. Before settling into a movie, order a Buffalo Chicken Wrap, with crispy buffalo chicken tenders lettuce and tomato, wrapped in a flour tortilla with a side of ranch dressing. It’s the perfect late night indulgence — and includes a side of chips! Sometimes it’s hard to fall asleep in a new place — especially when you’re mind is running with exciting thoughts of activities and amenities to take part in during your beach vacation in Florida. Instead of counting sheep, order some good ole comfort food from our late night dining menu. Our Ham and Turkey sandwich is a great choice. The sandwich includes baked ham, smoked turkey breast and Swiss cheese, served on wheatberry bread with a side of chips. Sometimes you’re just too busy to eat dinner. If you’ve been running around all day with the kids taking in the sites, or spent too much time at the amazing nearby shopping centers — it’s easy to lose track of time. For those busy days when you can’t eat until late in the night, but you still want something healthy and light, try our Chicken Caesar Salad. You’ll enjoy marinated grilled chicken breast, hearts of romaine, herb garlic croutons and parmesan cheese. With a late night option this delicious, you’ll almost beg to miss dinner! The Gulf shines at night. 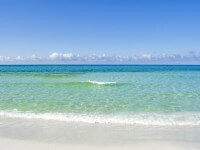 Our Florida beachfront resort sits directly on the sands of the Gulf of Mexico. Many of our guests love to listen to the sound of the waves lapping against the shore long after the sun has gone down. And with a private Gulf-view balcony, why wouldn’t you? For a late night wave-listening session, order something that will satisfy your sweet tooth. Our Mascarpone Panna Cotta is served with fresh berries, sweet cream, and a balsamic reduction. A sweet choice to help you savor the moment. 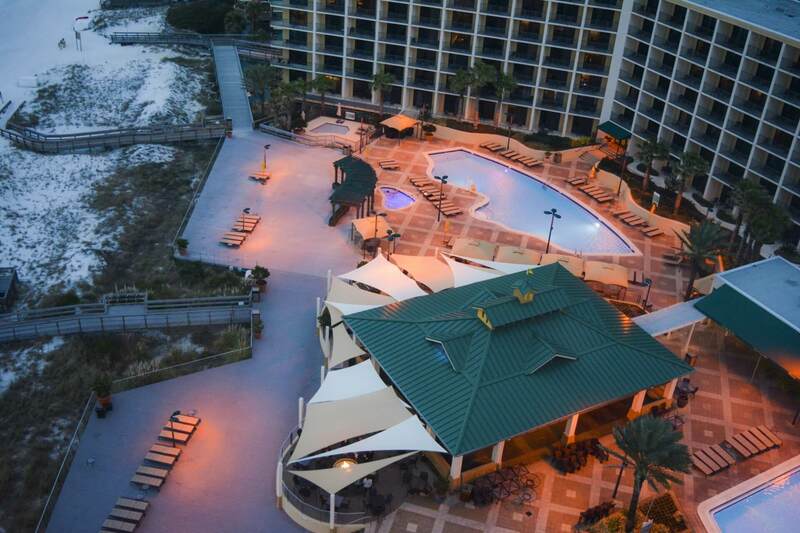 Visit Hilton Sandestin Beach Golf Resort & Spa during your next Florida beach vacation, and enjoy delicious dining options all day and all night long. Please note that menus are subject to change and hours are seasonal. Consult this page on our website for the most up to date information.